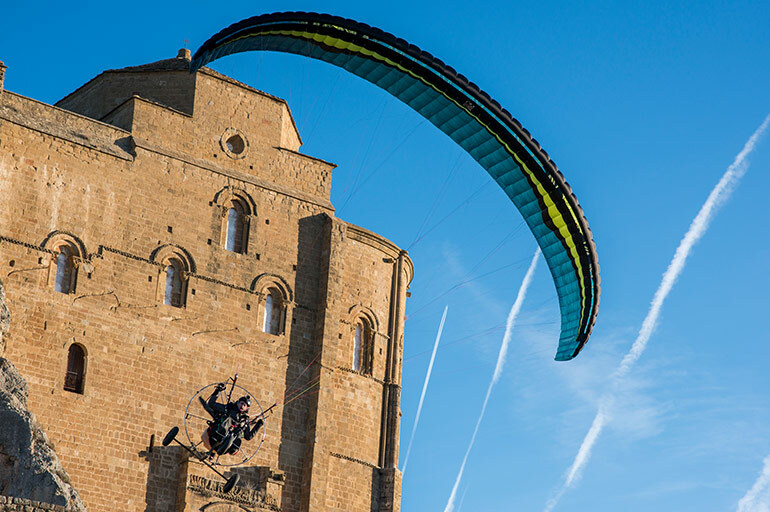 The Vantage 2 is for intermediate paramotor pilots who want maximum fun and versatility. 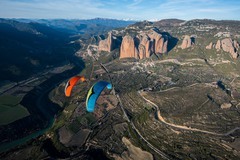 The wing is well-balanced in pitch yet precise and co-ordinated in the turn. 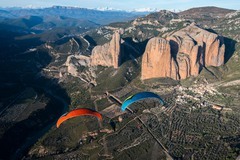 This results in a smooth and enjoyable all-round flying experience. 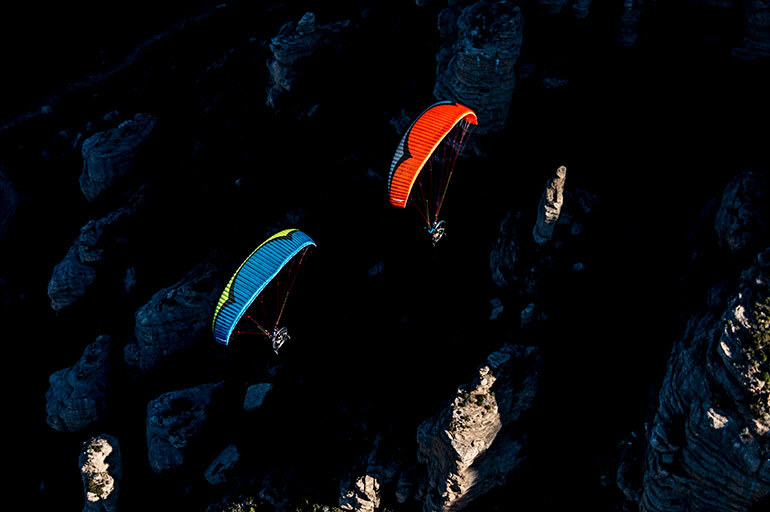 The Vantage 2 was designed as a wing that would offer easy take-off in nil wind, easy control in stronger winds, and reassuring stability during all aspects of flight. The wing is trimmed such that good roll stability is achieved whilst maintaining the fine turning and playfulness that the original Vantage was known for. On the pitch axis, the wing is perfectly balanced, which damps the engine thrust and any turbulence. 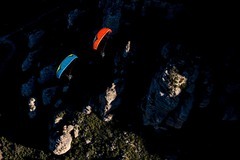 This outstanding balance produces a relaxing flying experience, yet still gives useful feedback from the air. The Vantage is highly manoeuvrable, with precise yet smooth handling, and thermalling is effortless. 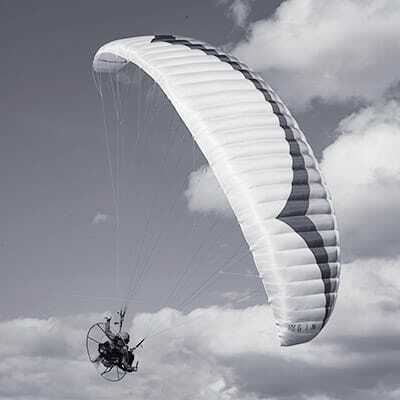 The Vantage 2 is an intermediate paramotor wing that’s suitable for a wide variety of paramotor flight, from simple circuits and precision flights to longer cross-countries. 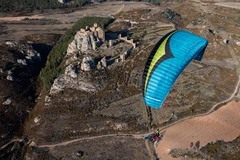 Although intended primarily for paramotoring, the Vanage 2 is also a highly effective wing for free flight. 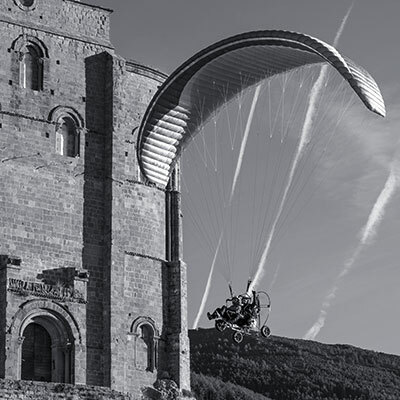 Simply lock the trimmers to the main carabiner and the Vantage 2 can be flown just like a normal paraglider. 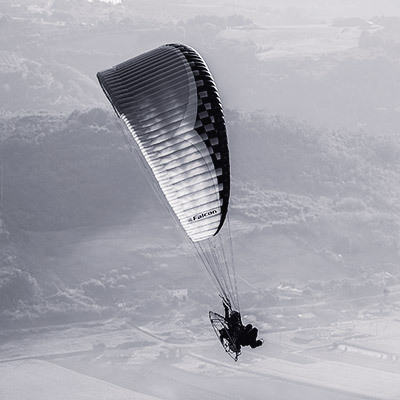 The Vantage 2 features EPT (Equalised Pressure Technology), our numerical method to calculate the best possible profile parameters for a specific motor paraglider profile. 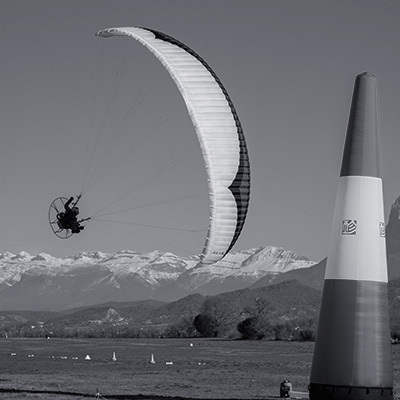 Small, constant deformations of the wing in flight are reduced and the air pressure inside the wing remains constant.This means that the glider offers great performance and efficiency not just at trim speed, but also with open trimmers and on bar. 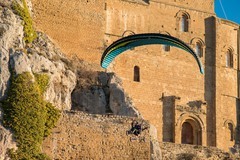 Set-back A lines, as well as the supporting top D lines, make the glider collapse resistant at speed, although you should always avoid high speeds near the ground as a matter of course.